The Pathway to Abundance, Joy, Passion, Fulfillment & Flow! LEARN FROM the comfort of your HOME while RECOMMITTING to what is important to YOU. Don't put the LIFE you desire ON HOLD any longer. Limit 12 people to keep the calls to a reasonable time frame. Additional groups will be added as needed. How would your life be different if you could finally break through the barriers and obstacles that are holding you back from living a life you love? You are magnificent beyond your imagination. A new reality and a new world will emerge for you and others when you choose to bring forth your light and share it with the world. An opportunity exists for you to create, choose and claim how you will move forward through change, transition, and uncertainty. Join us as we co-create an individual plan of action for you! Here are some of the results previous students have produced. It's Time to Start Living a Life You Love!!! 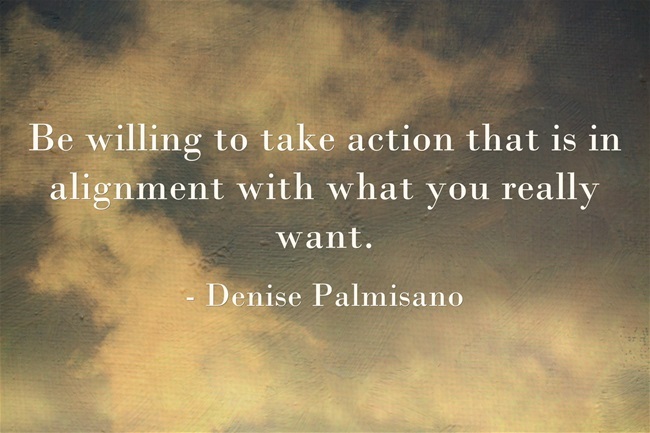 Join me, Denise Palmisano for an 6 session tele-seminar that will empower and inspire you to experience the abundance, fulfillment and flow of being in alignment with your life's purpose and vision.